What a summer for the Wise Mullet! 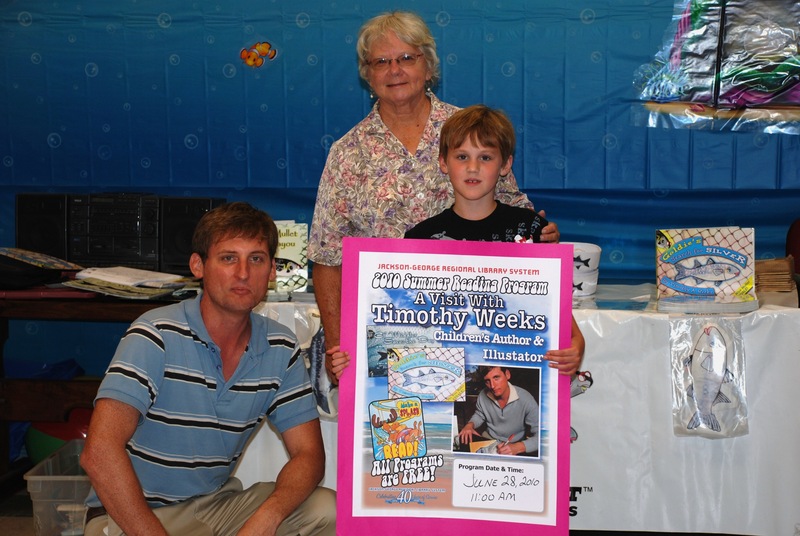 Author Timothy A. Weeks had one of his busiest months ever, making 35 presentations at 30 public libraries across four Gulf Coast states, along with readings at three summer camps and signings at six bookstores. With the BP oil spill impacting the Gulf Coast, the Wise Mullet did his best to bring joy to boys and girls unable to enjoy fishing and the beach.